The story of the Twisted Sister reunion, told by each band member, is as compelling a tale of the demise and rebirth of a band as you will ever see. Each baby step is chronicled in such a way as to be an example of how a band of such magnitude could re-form and be bigger than ever. Featuring in-depth interviews with Dee Snider, Jay Jay French, Mark “Animal” Mendoza, Eddie Ojeda, and A.J. Pero, the group discusses the final days of the band in the 80s, and the rebuilding process required to get a band of this magnitude back on stage. These interviews are highlighted by never before seen performance and behind the scenes footage. 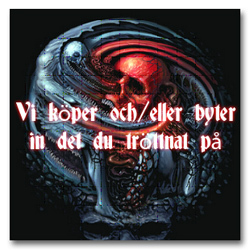 Interspersed throughout the dvd are live performances from the bands 2003 Wacken Open Air Festival appearance. Concert clips include all the hits – “Were Not Gonna Take It”, “I Wanna Rock”, “Stay Hungry”, “The Price” and more.